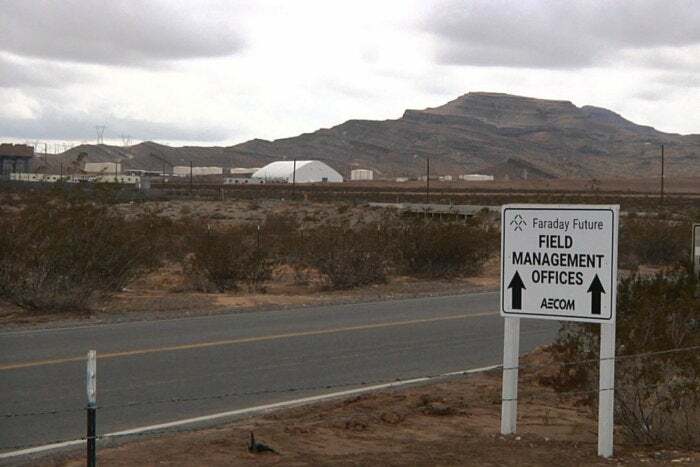 Faraday Future's plans for its factory are as grand as the plans for its car. The 3 million square-foot factory will cost a billion dollars and is scheduled to be up and running in 2018, but a visit to the site of the factory today reveals little more than dirt. Situated about 30 minutes away from bustle of the Las Vegas strip, the site sits just off Interstate 15, with few neighbors other than energy facilities and a truck stop. On Tuesday evening, when the company unveiled the first prototype of its FF 91 all-electric vehicle, it showed video of heavy machinery moving earth around. Judging from a visit to the site earlier in the day, it appears that's about all Faraday Future has accomplished there. 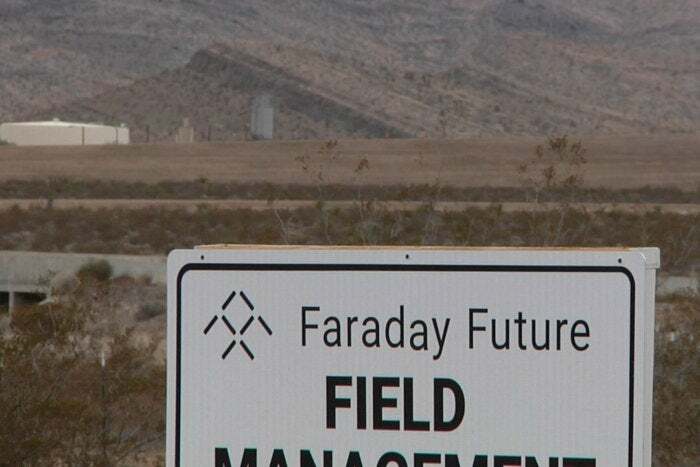 A sign points to way to Faraday Future's factory project at an industrial site in North Las Vegas, Nevada, on January 3, 2017. At the entrance to the industrial park are a couple of signs pointing to the location of the factory, apparently code-named "Sarah." But looking out over the desert, there's not much to see. There are a few structures in the distance. 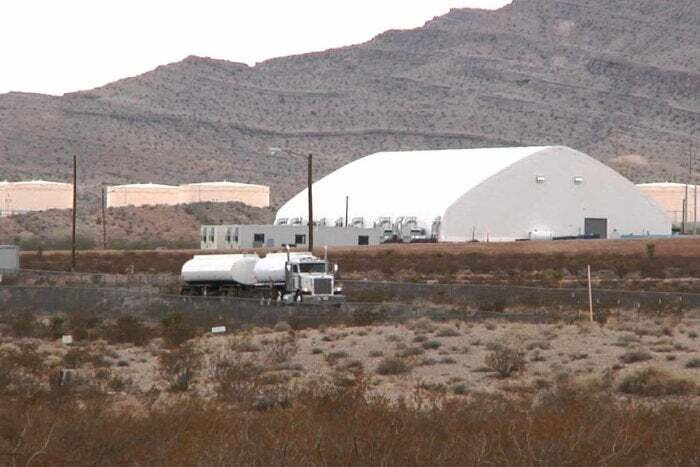 Some are associated with utility NV Energy's Chuck Lenzie Generating Station, and there are also storage containers for the UNEV oil pipeline. But there was nothing that looked like the beginnings of a factory. Buildings in the area of Faraday Future's factory project at an industrial site in North Las Vegas, Nevada, on January 3, 2017. Construction began in 2016 and was already on a tight deadline. The company wanted the factory ready to produce cars in 2018, but after grading work was completed at the site, the work stopped. Local media reported this was because Faraday Future failed to pay the construction company. Faraday Future has said it plans to restart construction early this year, but it's unclear when that will happen.